This half term our topic is 'If You Go Down to the Woods Today' so we will be exploring our on site Forest School area and finding out lots about creatures that live in the woods! We are also going on our first school trip to find out about The Gruffalo Trail at Beaumanor Hall! We are all excited to go on some adventures and investigate the woods in our new woodland role play area too! 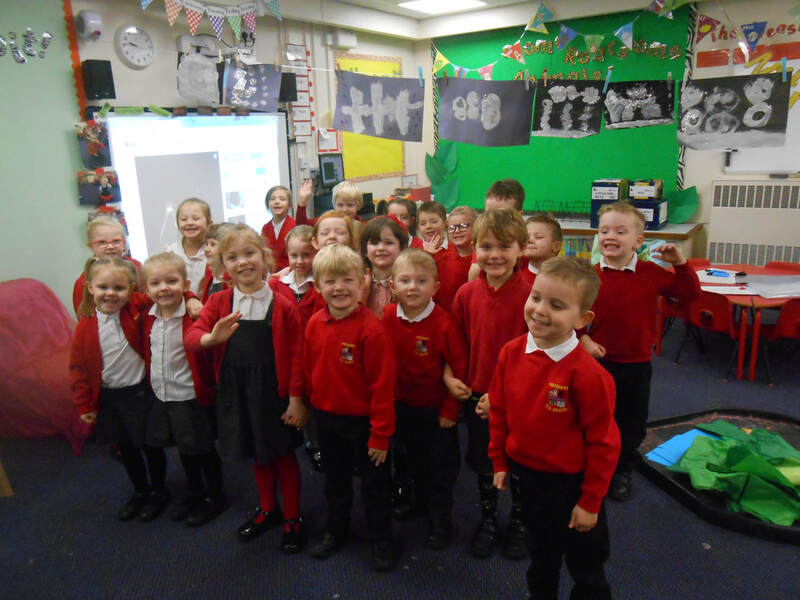 In EYFS we love making our learning fun with lots of singing, dancing and play! We also have fantastic outdoor provision with exciting construction, water, sand and creative areas! We also have an outdoor role play to stimulate imagination and creativity. We love Dough Disco at Measham! Have a look at this video for some basic moves! We have our PE sessions on a Tuesday afternoon and Wednesday morning.